Ride height adjuster kits for Kawasaki ZX6R, ZX9R, ZX10R, ZX12R, Ninja Z750,Z1000 models by Lust Racing. The links "dogbones" in the kit replaces the stock links on your motorcycle. We offer both rising jack up kits and lowering kits for Kawasaki ZX6-R 600/636, ZX-9R, ZX-10R, ZX-12R models. Kawasaki has changed the link lengths a few times so be sure to select the correct year model of your motorcycle. 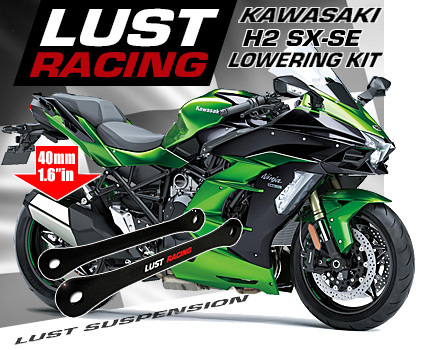 Lust Racing offers ride height adjuster kits for both early and late Kawasaki models. Rising your rear suspension will make the bike respond quicker to steering input, and give the bike a more aggressive look. The increased ride height will also allow larger lean angles. Lowering kits increases high speed stability. Lust Racing Ltd. designs and manufactures motorcycle accessories, our customers range from racing teams, motorcycle dealers and workshops to private customers worldwide. We supply products to Honda, Kawasaki, Suzuki, Triumph, Yamaha and MV Agusta brand dealerships.Every customer at Lust Racing is a highly valued one. We want all our customers including YOU to be 100% satisfied with the products and the service we provide. We believe in the old saying "Only happy customers return!". 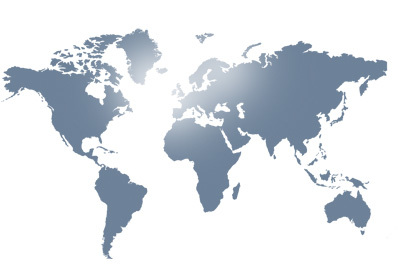 We try to develop not only our products and our services but also as a business every day. We are grateful for your feedback and all suggestions. Our aim is to provide high quality motorcycle accessories, parts and racing products to a competitive price. Should you against all odds not be satisfied with the products or the service we provide, just contact us. We are always willing to resolve any issue. Send a Lust Racing Gift Voucher to your friend or loved one! Send it instantly by e-mail or purchase and print it out and deliver yourself! You can pay by PayPal or by Credit Card! To purchase just click on the button above and follow the easy steps. You can decide the value of the Gift Voucher in the drop-down menu! A Lust Racing gift voucher is the perfect gift for a biker! Copyright © 2009 - 2019 Lust Racing Limited. All Rights Reserved.